Angular JS is one of the most popular frameworks when it comes to creating dynamic web applications and admin panel templates. It lets you use HTML as your template language and lets you extend HTML’s syntax to express your application’s components clearly and succinctly. AngularJS’s data binding and dependency injection eliminate much of the code you would otherwise have to write. And what is Angular 2? At the end of 2014, Google announced that Angular 2 would be a complete rewrite of AngularJS. It is a component-based framework. Angular 2 introduces some bold moves that might be surprising to those who aren’t familiar with the mobile web, but Angular 2 is strictly focused as a mobile-first framework, meaning that desktop apps and websites would need to be built in reverse order. Mobile is already surpassing all expectations, and as billions more get connected, it only makes sense that we build with mobile web in mind first. The following list of Angular 2 templates can be helpful as a starter kit for admin panels for Angular projects. Check it out! 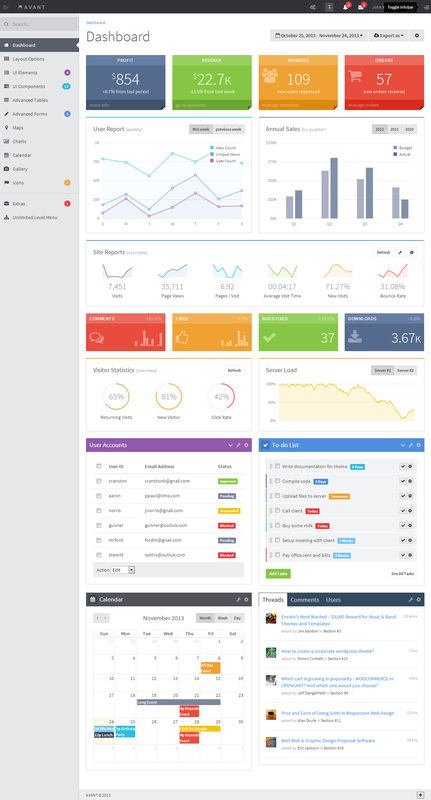 We present you collection of 20+ Best full responsive premium HTML5 Admin Panel Templates in 2014. 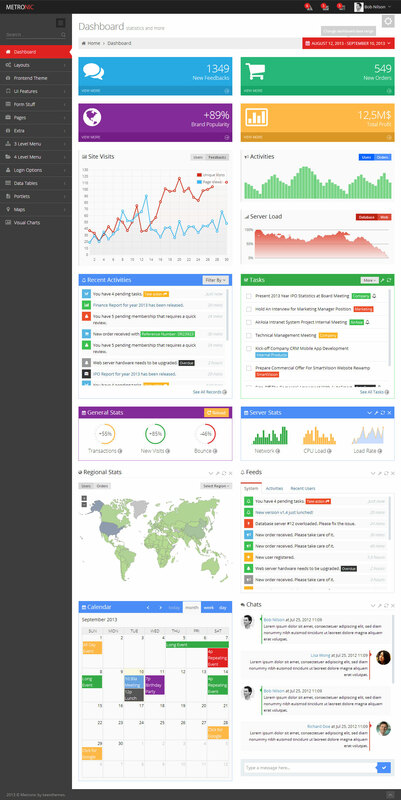 Take a look at free demos of Admin Dashboard templates. Webarch is Premium Responsive HTML5 template. 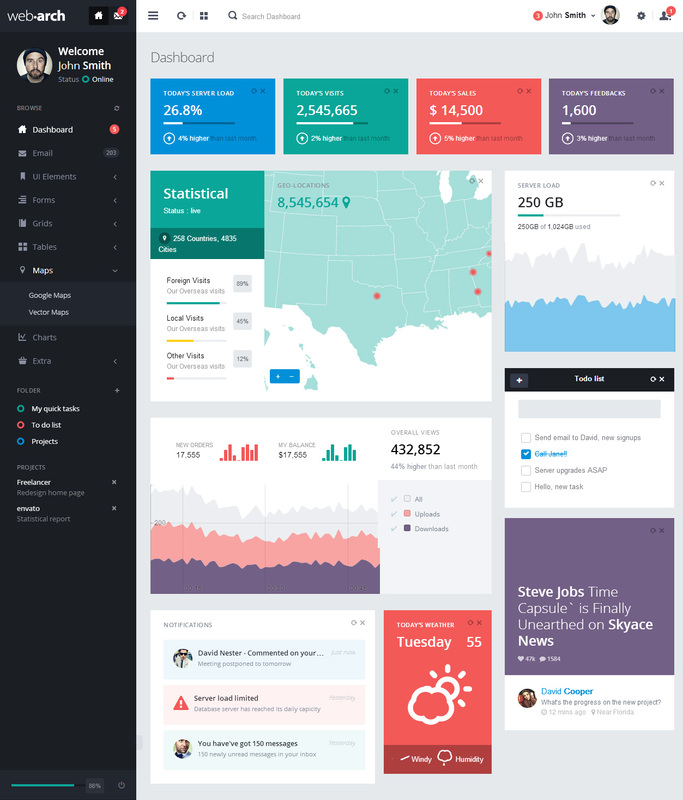 It is a multipurpose admin dashboard template built on top of Twitter Boostrap. 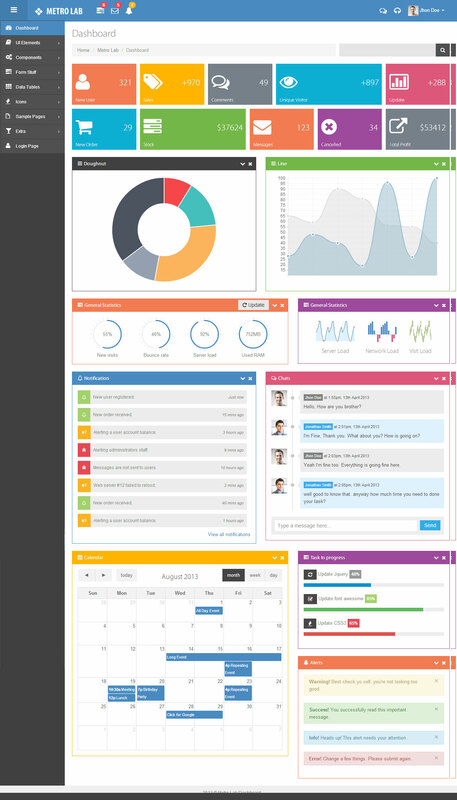 todo is Premium full Responsive Flat HTML5 Template for Web Application and Admin Panel Template. 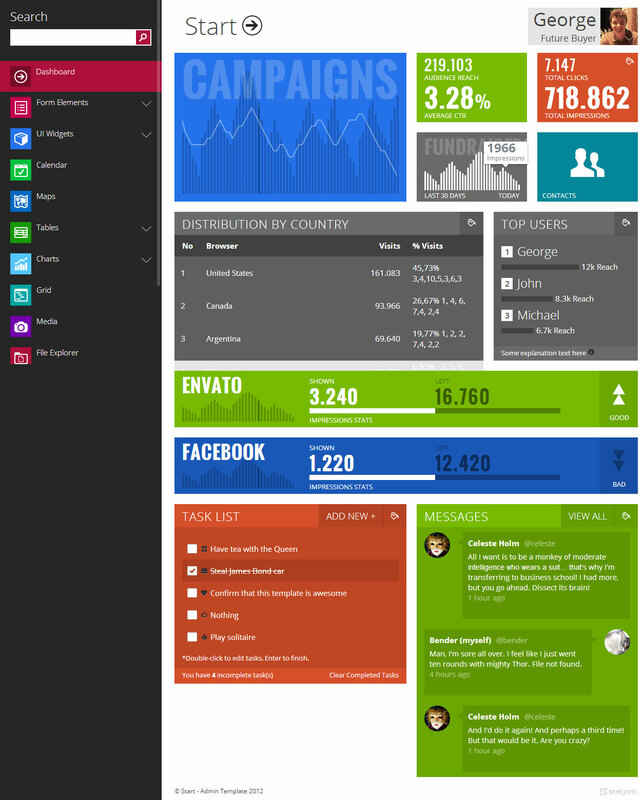 It is built with Bootstrap 3.0. 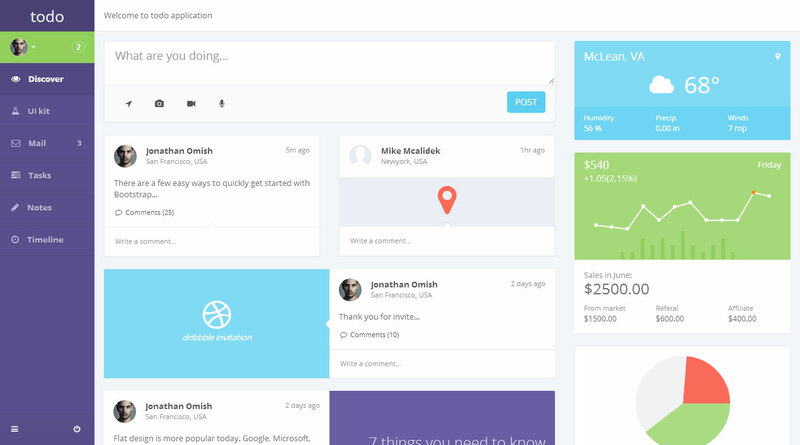 Metronic is a responsive and multipurpose admin and frontend theme powered with Twitter Bootstrap Framework. 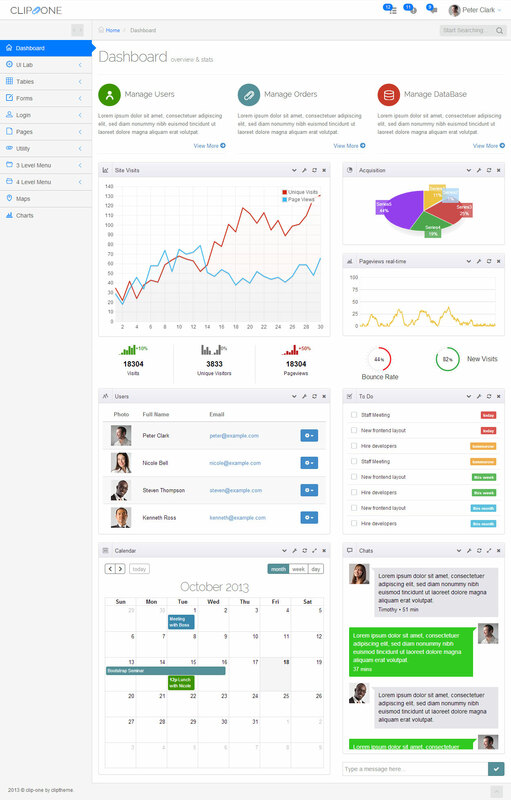 Metronic can be used for any type of web applications: custom admin panels, admin dashboards, CMS, CRM, SAAS and websites: business, corporate, portfolio, blog. Metronic has a sleek, clean and intuitive metro style design which makes your next project look awesome and yet user friendly. Metronic has a huge collection of plugins and UI components and works seamlessly on all major web browsers, tablets and phones. Clip-One is the brand new, cutting-edge, super flexible, totally responsive Administration Theme based on Bootstrap 3 Framework. You can use Clip-One in a simple and intuitive way for all your backend applications and thanks to the several customization options you will also be able to customize the template style, color and layout, according to your taste and preferences. It does not matter where you will open Clip-One: on smart phones, tablets or computer desktops, it will perfectly adapt to all your electronic devices. With an extended variable .less file you can customize the theme infinitely without even touching a single line of code. There is a large number of plugins provided and already tailored towards the theme so they blend in. A mobile first responsive approach with off-canvas menu and touch support makes the theme work beautifully in a large number of screen sizes – from smart phones and tablets, to large screens.